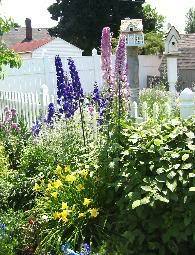 The Crocker House Museum Garden Taste & Tour is Saturday, June 22 from 9:00 AM until 4:00 PM. This event features the lovely Crocker House Victorian Garden and other beautiful gardens within the local community. The day begins at the Crocker House Garden where you are welcome to look and learn about their garden, watch how old fashioned lace is made, shop in the gift shop, take a tour of the Crocker House, enjoy a continental breakfast while learning about garden art, and then pick up a map to the featured private community gardens. You take your own vehicle allowing you to view the gardens at your leisure. For tickets and more information, call: 586-465-2488, or visit their website.